The UP Group (formerly Groupe Cheque Dejeuner) has evolved considerably in recent years both in terms of identity (name change and logo) in its product offering with the dematerialisation of payment orders. It is part of this change that the UP Group wanted to create a place of life and exchanges within the Atrium, its headquarters. For this, UP appealed to Carlipa agency that has devised a course offering connected and sensory experiences to discover the Group and its news. An impressive interactive timeline with 5 screens (42 '') to discover the history of the group and headquarters through key dates. Screen savers disappear at the approach of a visitor (motion detector) and invite you to navigate and discover content. • Blog wall dating back UP blog news. A QR code is constantly present on the screen provides direct access to the blog with his smartphone. • Social wall that displays latest posts of the Group's social networks (Facebook and Twitter). • Institutional videos are shown on the third screen. 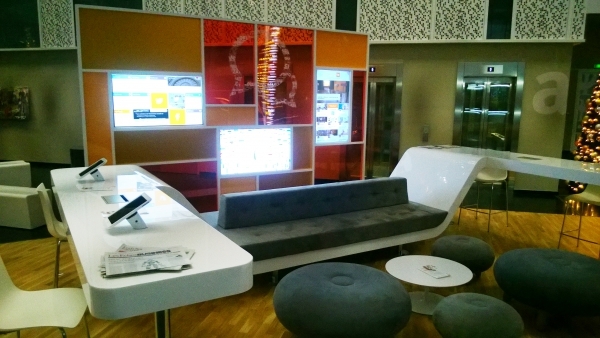 In this space, 2 iPads containing the application of the Group are integrated in a high table and made available to visitors. 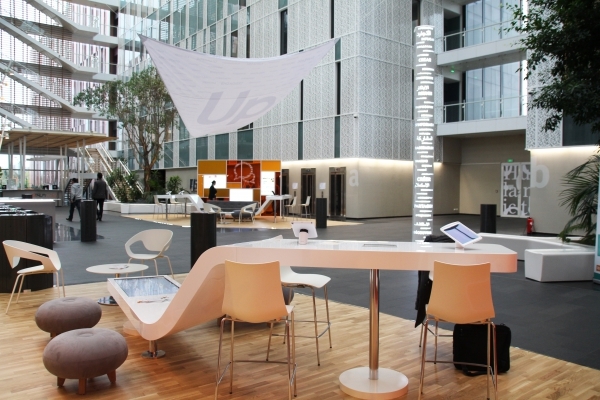 Lounge area consisting of an interactive table of 42 '' containing the application of UP Group and 2 iPads available to visitors. • Receive various information such as the Group's news or upcoming events. • Take a tour of the building. • Discover unusual areas of the seat through augmented reality (hives, rooftop gym, printing ...). • A back office dedicated to this application can update the content regularly. • The application is available from the Apple Store and Google Play. 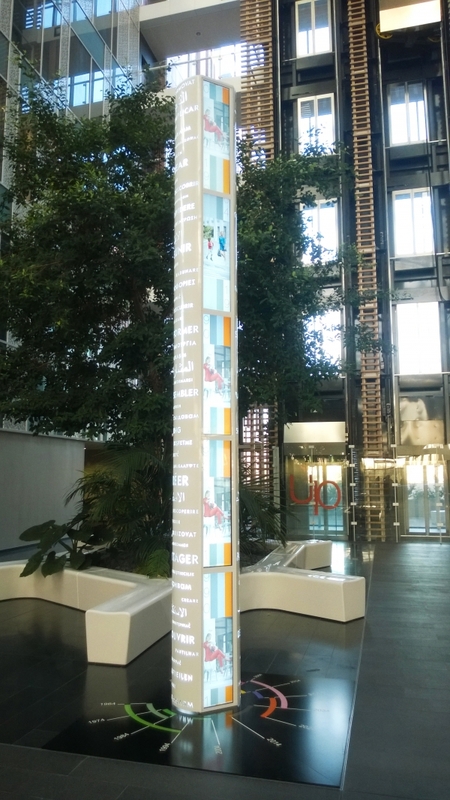 * Several beacons have been installed across the atrium and disseminate timely messages to employees and visitors as they pass through a specific area (Siege events and news). These notifications allow to discover aspects of the new building or through the mobile application. • Push notifications are managed to be notified only 1 time. • Development of a back office to change the contents of the notifications. 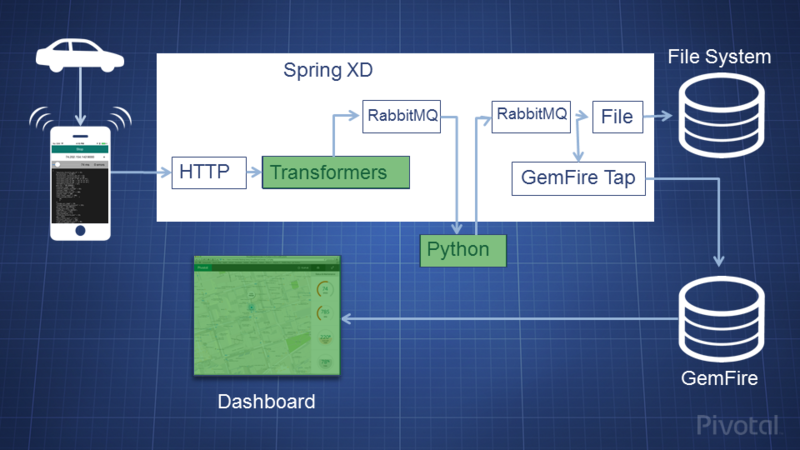 * Electronic sensor that locates smartphones around and send their targeted messages. Carlipa is also in charge of the material and technical maintenance of digital devices. Carlipa Online is the web platform and secure provision by Carlipa for the Group UP to autonomously manage the updating of text content, images and videos of different concepts. Partners: CEV (providing the beacon), Broca and Wernicke (application of interactive table) and Gentlemen (design and architecture), Antares (mobile application). Carlipa Online is a single software platform (exclusive, patented technology) to control all digital objects or media connected to the outlets to pilot your communication strategies and manage your marketing and digital campaigns. the cicret bracelet: like a tablet...but on your skin. 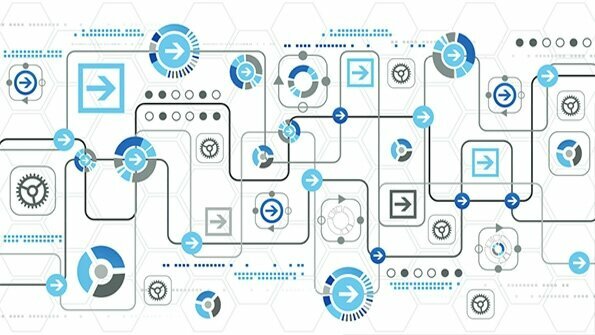 Secure the internet of things, it's now...or never?